Today is the 375th death anniversary of the sixth Sikh guru, Guru Hargobind Sahib ji. Revered as the Sixth Nanak, Guru Hargobind ji made remarkable contributions to the Sikh Panth and played an important role in strengthening the Sikh community. The Guru is credited with "providing a new direction for the Panth," as he realised that in addition to spirituality, Sikhs would also have to defend themselves against the oppressors with the power of sword and military might. Guru Hargobind Ji was born on June 19, 1595 to Mata Ganga Ji and the fifth Sikh Guru Sri Guru Arjan Dev Ji in the village of Guru Ki Wadali within the Amritsar District. Guru Nanak Jayanti Date: Rituals in Gurudwaras, Significance & How to Celebrate Birth Anniversary of First Sikh Guru on Gurpurab. Guru Hargobind ji was all of 11 years old when his father, Guru Arjan Dev ji, was martyred in Lahore after he was jailed, fined, and tortured while under arrest as per Jahangir's orders. Before his martyrdom, Guru Arjan Singh ji had sent a disciple with the message of Miri/Piri (temporal authority/spiritual authority) for Guru Hargobind ji. 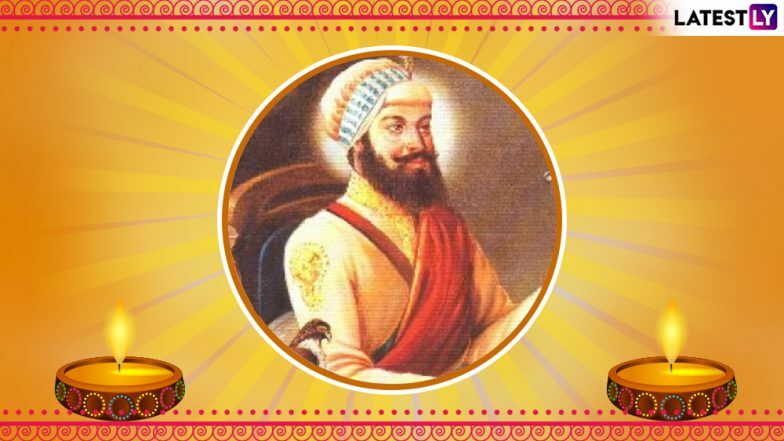 Guru Gobind Singh Jayanti 2019: Date and Significance of Prakash Parv to Mark 352nd Birth Anniversary of Tenth Sikh Guru. Following the message of Guru Arjan Dev ji, Guru Hargobind ji at the time of his installation as the guru, asked Baba Budha Ji to be adorned with a sword, marking a difference from the earlier Gurus or his predecessors. Guru Ji asked to be donned with two swords, and explained that one sword signified his temporal power(miri) and the other his spiritual power(piri). Guru Hargobind ji established the Akal Takht, the seat of temporal power and political considerations relating to the Sikh community. Guru Hargobind Ji constructed the Akal Takht in front of Harmandir Sahib in 1606. The Harmandir Sahib was the seat of his spiritual authority and the Akal Takht was the seat of his temporal (worldly) authority. Experts believe this marked the beginning of Sikh militarization. To the symbols of sainthood were added marks of sovereignty, including the umbrella and the Kalgi. The Akal Takht was the first Takht in the history of the Sikhs. The Sikh festival Bandi Chhor Divas, which is celebrated by the community on Diwali, is celebrated in memory of Guru Hargobind ji's compassionate act of getting 52 Hindu kings released from Emperor Jahangir's prison in Gwalior. Guru Hargobind ji fought four battles in his lifetime. After that, he withdrew from Amritsar and occupied Kiratpur in the foothills of the Shiwalik Hills. He remained there until his death in 1644. Guru Hargobind ji was succeeded by Guru Har Rai, the younger son of Guru Hargobind ji's eldest son, Gurditta.